Mica, 17 Sep 2015Now Tesco is selling at RM299.. which Tesco??? KL??? Now Tesco is selling at RM299..
bekheir, 12 Apr 20151. battery life is tragic 2. sound quality is OK, rich bass even without EQ, but in silent ... moreWhy you return this??? Been using this phone for a month. 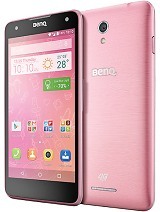 At a price below RM300 in Malaysia, I would says this phone meet the expectation. Camera is good, 4G connectivity. After root, I found that this phone operates better. Use Link2sd to move apps from phone to SD card to increase phone storage. Downside is just the battery is fast drain but again for this price would not expect all is perfect. If this not a budget phone somehow no one will care. Just for two days i have root this..since the memory 2GB is usable..i root it and use link2sd..now i have 4GB for app..and 4GB for others..
1. Screen is good, added features of low blue light for multimedia. Very helpful for people with glasses (like me). Didn't expect more for this kinda price of 360p display. No issue. 2. Rooted using kingroot since 2nd day using. Installed greenify app, very smooth. 3. 2gb memory available. Thank God some apps can be moved to SD. Still runs out of space, however. Often clearing the cache in storage settings for some space. More importantly, it supports until 64GB of SD. 4. Speakers, mic, all functioning well. Surprisingly has its own equalizer. Thumbs up. 6. Battery stands for half day extreme usage, quarter minimum usage. I got 4h max on screen. Still acceptable compared with the "overpriced fruit-smartphone". By extreme i mean, using my Sony smartband, bluetooth on, high frequency GPS, silent, low brightness, low blue light off, greenify app. Overall, i would say this is the best cheap smartphone. I have used flagships and mid-ranges. Sold them all for commitments. Got this phone and feels like using between mid-range and flagships. P/S: Root is necessary. Greenify app is very useful. 1) Screen and touch very good , speed no lag , WiFi w/ network off very good 1 hour about less 20% battery use , network 4G/3G standby is good , GPS lock 2-5 min while dtiving , GPS on Waze is good , moderate and bug on Papago but acceptable , sound loud and rich better than a budget slim android phone . 2) 4G/3G surfing acceptable , internal storage quit low 1.4GB on stock , 1GB game need to think twice coz of low storage , medium size game work charms . Someone may be happy with this phone, but I will return it after 2 days. Can someone tells me where can I get this phone at RM269 as mention by someone earlier? just buy this today for my mom. 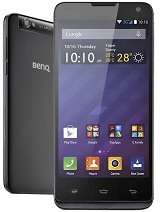 i'm testing it and i'm overall satisfied with quality, performance, except for its 4gb internal, everything is great. but it cant be set to use external microsd as install directory which most of lenovo had. tabletscity, 18 Mar 2015Great phone for its price, rm269 in Malaysia. Fast, kit Kat and great 8 mpx camera. Screen is ... moreHi bro, can choose to use memory card only or not? What about 3g video call? I decide to buy this phone tomorrow. Im from malaysia..
Total of 27 user reviews and opinions for BenQ T3.